Kid is the best dog I ever bred. 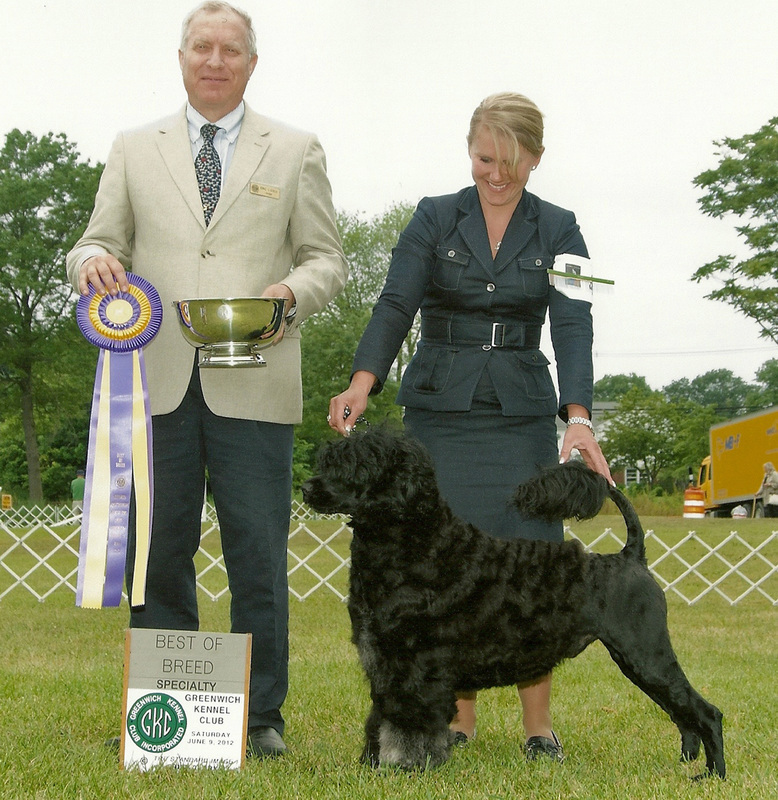 He was select dog at the 2012 National Specialty. He won best in show at the Nutmeg Specialty 2012. He was best puppy in show at the Greenwich Kennel Club show in 2011. He has a wonderful temperament which he passes to his kids. Kidd is my dream dog and my best friend.